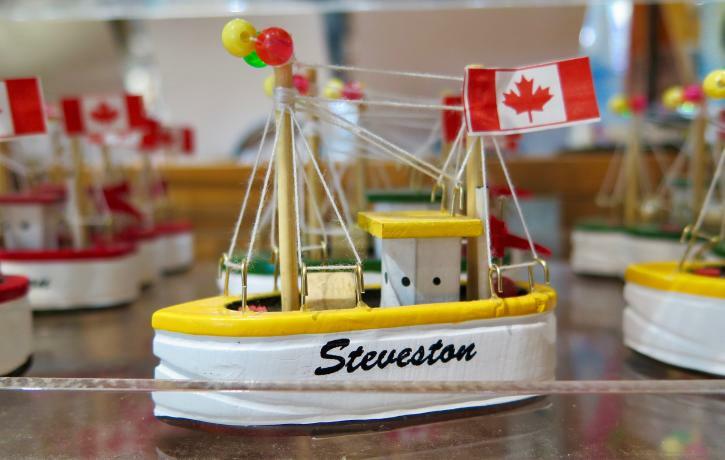 From historic attractions to delicious fish and chips, the charms of waterfront Steveston Village have long been known to locals and savvy visitors. But radiating along and beyond the Moncton Street main drag, the area’s heritage buildings are also home to a strollable shopping list of independent stores. Read on for details on 10 great places to unleash your credit cards the next time you visit the village. 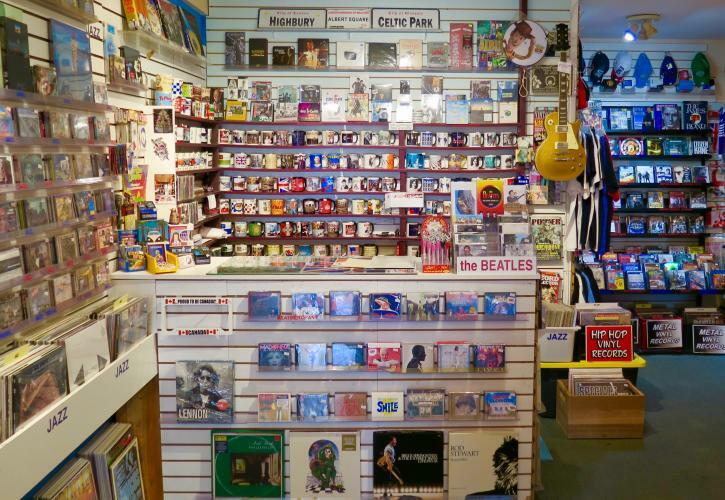 One of Metro Vancouver’s most famous record shops, Beatmerchant packs a lot into its small Second Avenue space. Alongside a browse-worthy array of CD and vinyl recordings—from Bowie to Chuck Berry to the Rolling Stones—the owner’s British expat tastes are well-reflected in a supporting cast of additional items, ranging from soccer team scarves to must-have new books and old-school concert posters. It’s the kind of compact shop you expect to spend 10 minutes in but find yourself still exploring an hour later. Must-buy: Souvenir mug from UK television sci-fi show Doctor Who. Arguably Steveston’s coolest store, this gem-like skate shop—owned and operated by ever-welcoming skate scene den mother Jenny Koreshi—stocks a kaleidoscopic array of artsy-looking decks: even if you don’t skateboard, you’ll be tempted to buy one to display on your walls. Top board companies Hosoi, Dogtown, Landyachtz, and more are here, and the store does custom set-ups for any decks you purchase. But if you just want to look cool, there are also great skater T-shirts, bags, and shoes to buy. Must-buy: Customize your board (or your life) with some cool skate stickers. You don’t need to be exploring the exhibits to visit the large, wood-floored gift shop inside the Gulf of Georgia Cannery National Historic Site. With a soundtrack of lilting sea shanties, there’s a huge array of maritime-themed items to peruse here, ranging from starfish-shaped earrings to foil-wrapped chocolate fish and whale-tailed salt and pepper shakers. And be sure to take a look at the canned and packaged salmon treats plus the not-just-for-kids plush toys—lobsters, octopus, and narwhals included. Must-buy: Retro-look Steveston Packers T-shirt, recalling the legendary high school basketball team. Looking for great gifts or perfect home décor flourishes? Pieces, a browser’s paradise tucked into Moncton Street’s historic Hepworth Block building, is the ideal one-stop shop. 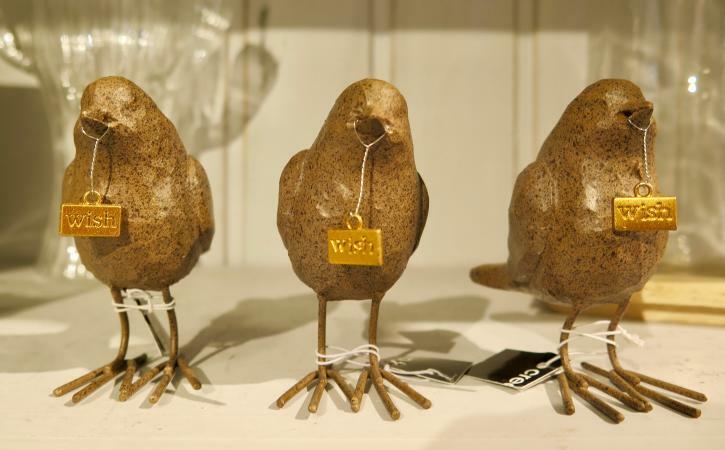 Well-curated but hugely eclectic, give yourself plenty of time to peruse everything from adorable jewelry and artsy bird ornaments to Nova Scotia fisherman’s soap (most items are Canada-made)—or just ask ever-friendly owners David and Sarah Gordon for suggestions. While you’re here, check out the burned patch on the wooden column near the back of the store, a reminder of Steveston’s devastating 1918 fire. Must-buy: Limited edition Memory Blocks painted by Vancouver artist Sid Dickens. A magnet for Metro Vancouver families, this super-friendly, double-fronted Hepworth Block toy store takes play seriously: there’s nothing here that hasn’t been carefully selected with kids (and adults) in mind. That means shelves bulging with Lego, Playmobil, and Brio wooden train sets, plus a brilliant array of educational toys (anyone for crystal growing? ), huggable furry critters, and a full selection of Schleich animal figures (pangolin recommended). Analogue-loving adults are also well served, with plenty of board games and jigsaw puzzles. Must-buy: The party game based on 1980s television artist Bob Ross—complete with a strokable beard on the box. Another Hepworth Block store, the excellent taste of Nikaido’s husband-and-wife co-owners is on full display on every shelf of this 25-year-old business. Fusing Asian and European sensibilities, you’ll find blended teas alongside achingly beautiful Japanese teapots; ultra-stylish stationery complementing fountain pens and Blackwing pencils; and gift-worthy soap packages just steps from the latest must-have Tintin calendars. It’s the kind of place where you’ll discover the perfect, high-quality gift for a friend—or yourself. Must-buy: Cavallini & Co. retro-look posters and calendars. 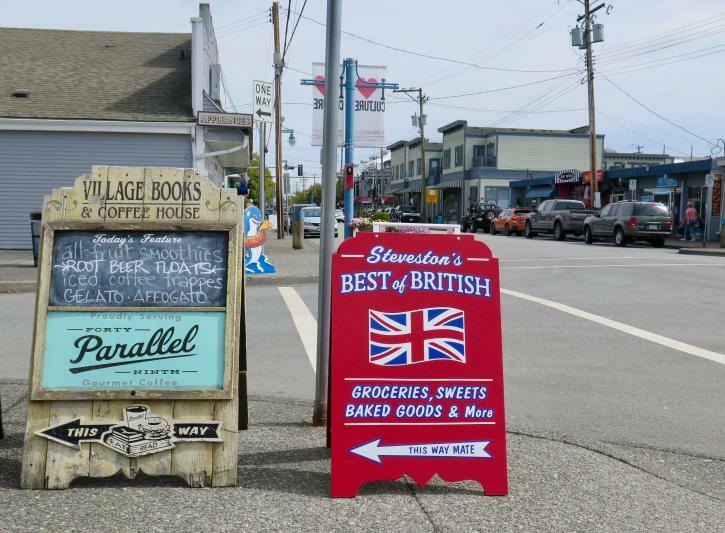 Luring UK expats and curious foodies to what may be Metro Vancouver’s best British-themed store, you’ll find a full menu of nostalgic treats here. Snacks abound, including Curly Wurlys and Tunnocks Tea Cakes plus bags of chips—called ‘crisps’ in the UK—such as Quavers and Monster Munch. Teas, jams, and canned goods also crowd the shelves, while locally-made pies and Scotch eggs are big sellers. Don’t miss the bargain table or the store’s upcoming Christmas selection: where else will you find that stocking-shaped Cadbury selection pack you need? 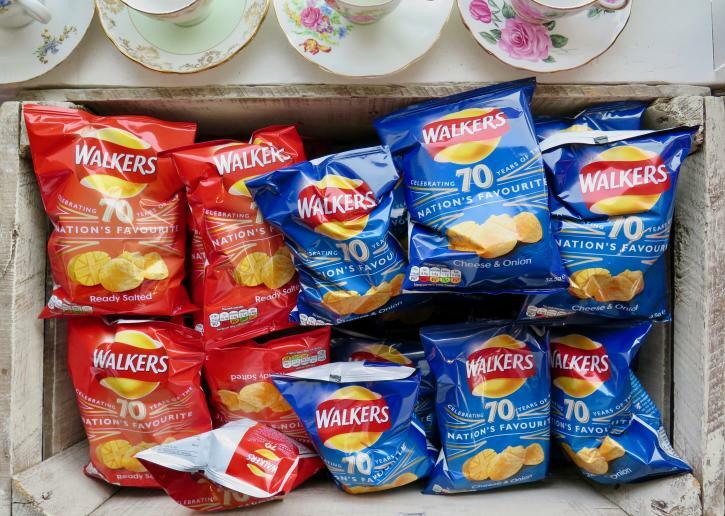 Must-buy: Walkers Cheese & Onion crisps. This First Avenue staple had been operating in Steveston for 25 years before husband-and-wife Ron and Angela Hill took over a few years back from Ron’s parents. Adding a coffee bar to make the browsing even more inviting has deepened local affection for Village Books & Coffee House as well as ensured that thirsty new visitors keep discovering it afresh. Used books as well some new titles dominate the towering shelves, with themes covering everything from cooking to Canadiana. Need recommendations? Grab a latte and ask away. Must-buy: Books about Steveston’s salty history. Arguably the most diverse of Steveston’s top-notch gift and décor emporiums, A Monkey Tree is the ideal store to browse away a rainy afternoon. Just be aware that you’ll likely discover perfect presents for everyone you know, from cute earrings and folk-art paintings to gourmet salts and humorous gift cards. You&apos;ll also find a great array of housewares, bedroom gear, and kitchen items to make your place look way cooler, ranging from candles and aprons to cleverly-designed kitchen gadgets. Must-buy: Map of the world shower curtain. Located at 3900 Moncton Street, this fashion-forward women’s apparel store stocks a stylish selection of on-trend tops, dresses, jackets, and more. Sourced from designers in Canada and beyond, the wood-floored store’s racks and tables also include shoes, hats, and tempting costume jewellery. The best feature? There’s a strong commitment to affordability, which means you can easily create a new look without breaking the bank. Must-buy: The cute array of fun earrings, including bee and moon themes.